This has been an interesting time for me. We don’t get further ahead by just sitting around… unless it’s sitting around coding a new piece of software. There are times when I have to walk away from it to wrap my head around the concept. I’m all for breaking convention, especially when convention isn’t working so that is what I’ve tried to do with this wonderful app. Two years ago I started working at Georgian College, Barrie Ontario Canada. My job title is Academic Support Technician. Part of my duties include managing a photo studio on campus, scheduling it’s use around classes and allowing upwards of 100 students to book the space for photo shoots. When I first started, I would spend one to two hours a day communicating with students through phone, in person or through e-mail. We would pick a time that worked for them and I would add it to a Google Calendar we had. I knew this was without question a huge misuse of my time. 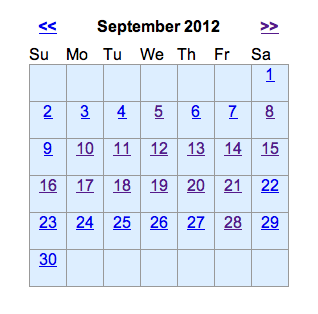 Within two months I had the rough version of what has now become Schedule-Online.net. It’s now two years later and I have had plenty of time to test, refine and come up with the ultimate solution, flexible enough to work in almost any business model. I picked November 1st, 2012 as the launch day for Schedule-Online.net. This will be the public release of the web software. The program works online, anyone will be able to join and create an account. I plan on making a lot of updates along the way and you can count on that since I use the software every day myself.